Home Cacao & Chocolate What Can The Coffee & Cacao Industries Learn From Each Other? Citric acid, honey, raisin flavors. Floral notes, sweetness, and bitterness. What am I describing: coffee or cacao? 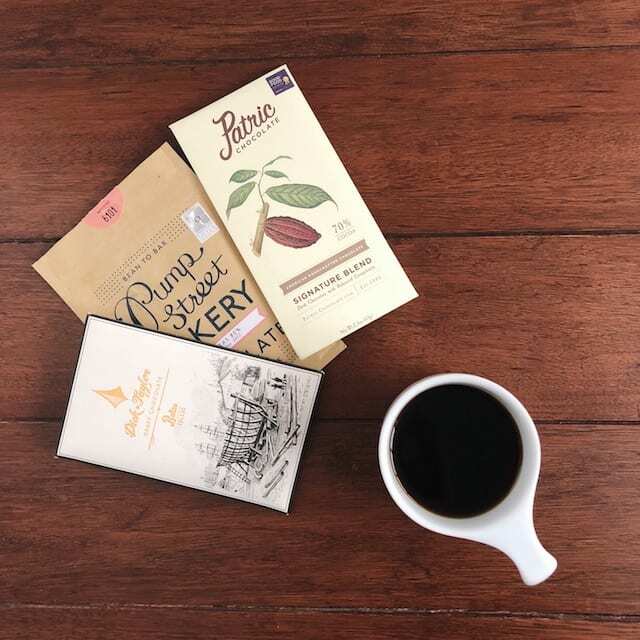 From the flavor notes to how they’re processed, specialty coffee and fine cacao have a lot to learn from one another. Read on to discover more. In both coffee and cacao, a number of factors affect the flavor and quality of the final product. 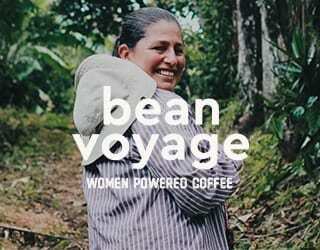 The variety of plant, the way it is roasted, and other processing choices will have an impact. There are parallels throughout the industries and lessons to be learned at each step. Let’s take a look at Ecuador. This South American country produces both coffee and cacao. There are many varieties of coffee here: Caturra, Typica, Bourbon, Castillo, and more. In the cacao industry, there are two main varieties: Nacional (also known as Fino de aroma) and CCN-51. The first is the traditional cacao from this area, known for its delicate and complex flavors. CCN-51 is a clone that was developed to achieve a higher production and a greater resistance to diseases. But perhaps the cacao industry should embrace other varieties. Fermentation is a part of processing both coffee and cacao. Yeast, bacteria, and other microorganisms break down sugars and, as this happens, heat is released. Fermentation happens naturally whether we want it to or not, but the process can be controlled. Cacao requires fermentation to make chocolate and it is done the same way each time. 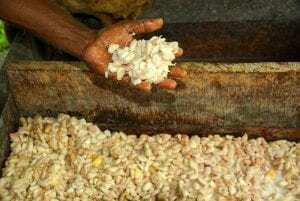 Beans and pulp are placed inside boxes and covered with banana leaves to trap heat. This normally takes around six days. Proper cocoa fermentation is critical – it adds body and impacts the taste profile of the final chocolate. Learn more! 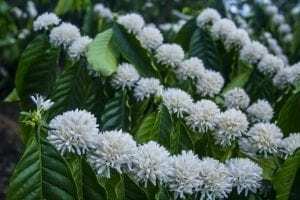 How Does Fermentation Affect Coffee Flavour Development? Aerobic: This is what happens when oxygen is available. Recently picked cherries are left in a container and the microorganisms get to work. Monitoring the time and temperature allows a producer to control and analyze the process. Anaerobic: Coffee cherries are laid in a tank (before or after pulping) and covered in water. Without oxygen, different microorganisms do their job. You may also like Coffee Fermentation: What Is It & How Can It Improve Coffee Quality? Yes, cacao needs to be roasted, just like coffee. Cacao is roasted to develop the flavor we associate with chocolate. Without roasting, you probably wouldn’t recognize a cacao bean as the main ingredient of chocolate. It would smell vinegary from the fermentation process. Roasting also destroys the bacteria and fungus that is developed in fermentation and that could be potentially dangerous if eaten. In both coffee and cacao, there are different styles of roasting. In both industries, some manufacturers roast to a dark level for a particular flavor or to hide defects. Others will choose lighter roasts to highlight the individual features of the bean, whether it’s coffee or cacao. The coffee industry is far ahead when it comes to roasting. Specialty coffee roasters have experimented and analyzed how coffee beans develop in roast and how they are affected by the roasting curve. They are not afraid of trial and error. Cacao isn’t there yet – it’s a much younger industry. But bean-to-bar producers can benefit from the coffee industry’s research and analysis. Interestingly, some chocolate producers are even adapting coffee roasting machines to roast cacao. 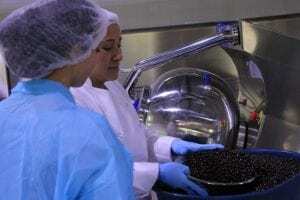 How Do Coffee And Cacao Compare After Processing? And there are arguably more choices to make about the final product. Do you want a 70% dark chocolate or a more mellow milk bar? Should you add fruit, spices, salt, or nuts? Competitions such as the International Chocolate Awards recognize the value of finished chocolate, and rightly so. There is a lot of work between a great cacao and a fine chocolate. But you can’t create excellent chocolate without quality cacao. There are currently no competitions for cacao roasting. The coffee industry has roasting competitions to recognize the skills involved in this step. Of course, it also has barista competitions, which recognize the whole process of making an outstanding cup of coffee. Chocolate competitions don’t just promote high-quality chocolate beyond the boundaries of the cacao community. They also help producing countries to promote and sell finished products in markets that are not interested in buying cacao. The same model could be applied to coffee that has been roasted in its country of origin and promoted through coffee competitions. Fortaleza del Valle is a group of cacao producers in Manabí, Ecuador. As well as farming, they also produce their own chocolate. 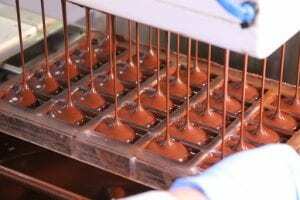 In general in the cacao industry, producing countries export both cacao beans and finished chocolate. This allows them to earn a greater and more diversified income than if they simply sold beans. 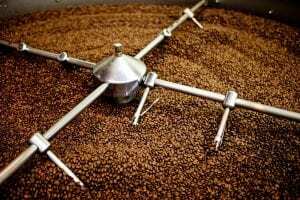 If coffee producers were encouraged to roast and export their own beans, rather than just green beans, it could be a more stable and sustainable market. 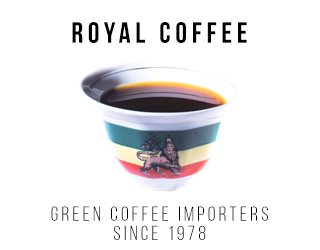 The specialty coffee community is as important for the industry as the actual coffee. 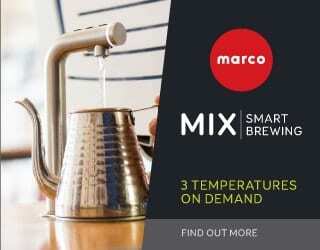 Informed consumers, skilled baristas, expert roasters, buyers, producers, etc. are what drive us forward in quality and volume. And the same is happening with cacao and chocolate, but on a much smaller scale. The fine chocolate community can learn from the more-established coffee community. But it can also bring new ideas and inspiration to the third wave coffee movement. Both communities can learn from each other through joining forces and making use of each other’s unique skills and experiences. Perhaps there is also potential for creating new economic structures by supporting one another. We are passionate people who understand the value of well-crafted products. If we come together to identify sensations, recognize flavors, and promote our industries for the greater good, what could go wrong? Enjoyed this? 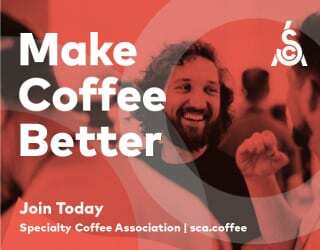 Check out What Are The Benefits of a Coffee Shop Association? Written by Gianmarco Ginatta. Feature photo credit: Hoja Verde. Fine & Commercial Chocolate: Do You Know The Difference?